Celebrate Christmas with Walkers Plum Pudding that's made with the richest and finest ingredients including raisins, sultanas, candied peel, mixed spice and syrup. It's a rich and moist, thoroughly steamed fruit pudding. Serve it by pouring a little whisky or brandy over it and get ready for an extravagant meal. It's a great holiday classic pudding available in a beautiful tartan packaging. 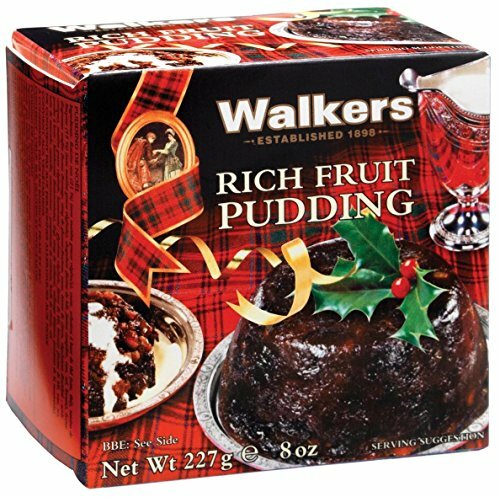 Walkers Plum Pudding can be used as a great gift for food lovers or it can be used as a personal treat for a traditional meal. Essential Elements: This pudding contains egg, wheat and gluten. However, it's a delicious indulgence for everyone including vegetarians.